The morning of September 11, 2001, two jets collided into New York City’s Twin Towers. Minutes later policemen and firemen are running to assist. They didn’t stop to think about someone’s race, or what religion or what their tax returns looked like. There were people in a crisis and they rushed in to assist. This is the America I know. The US Military is called upon to execute policy not debate it. Service members are Democrats and Republicans. They are a mixture of races and religions. Some fly fish and others fish with worms, but when called upon they march to a belief in something greater than themselves. In the winter of 2010, a small Afghan village of 400 suffered an avalanche. US Troops from Bagram Airbase helicoptered in to evacuate the village and brought them back to the airbase. The military set up temporary shelters and provided medical treatment to the villagers. This is the America I know. 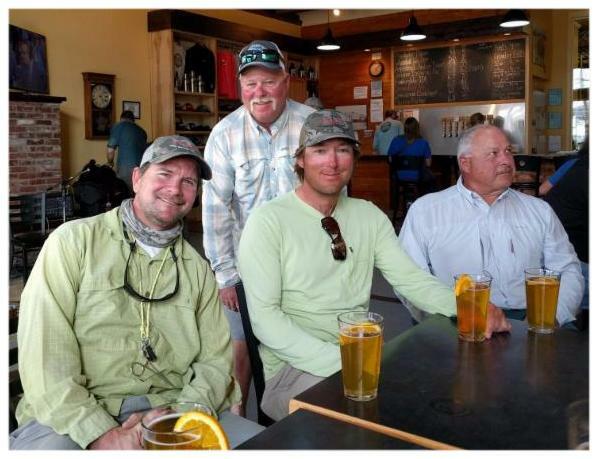 The week of July 5th of this year, we took six veteran service members: Air Force, Marine, Navy and Army to Healing Waters Lodge in Twin Bridges, Montana. This was the second year we’ve had sponsors (guests who fly fish) pay the regular rate for lodging and fishing at Healing Waters Lodge contributing to the cost of a veteran’s stay. 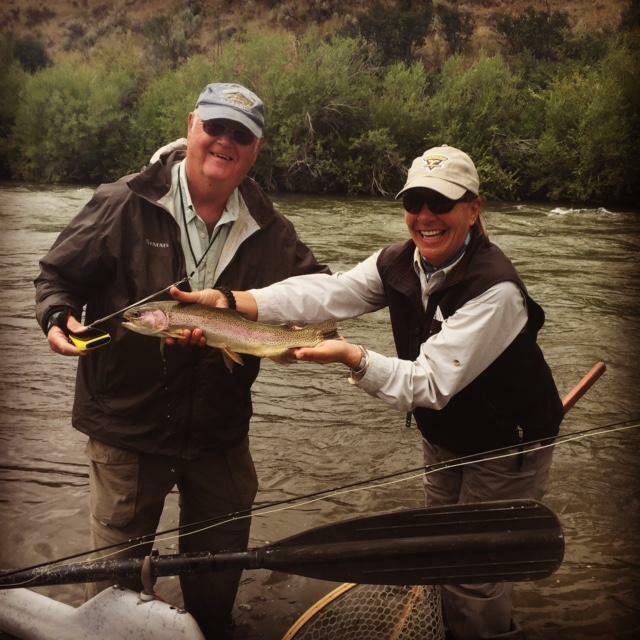 Their participation allows us to take the men and women from Project Healing Waters, fly fishing for a week.PHW is a non-profit organization that uses fly fishing as a rehabilitative tool for military service members. The sponsors share their room, a seat in the boat, the fly fishing guide, and the waters we fish. 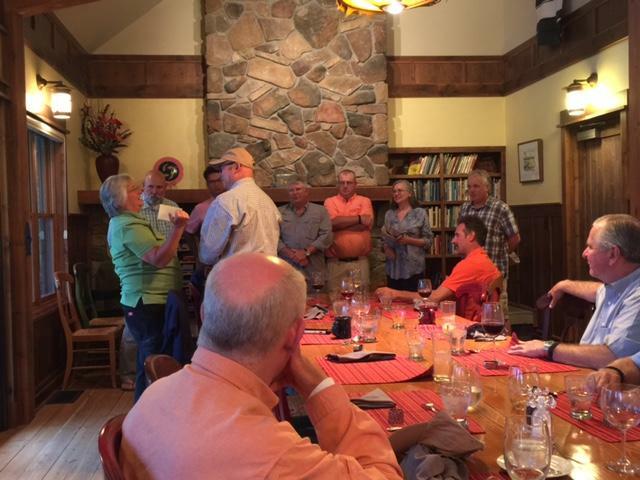 On the last night, there is an informal ceremony in which a service member will speak about his or her experience fly fishing that week and offers a PHW hat to their sponsor. There is also something more poignant that happens. 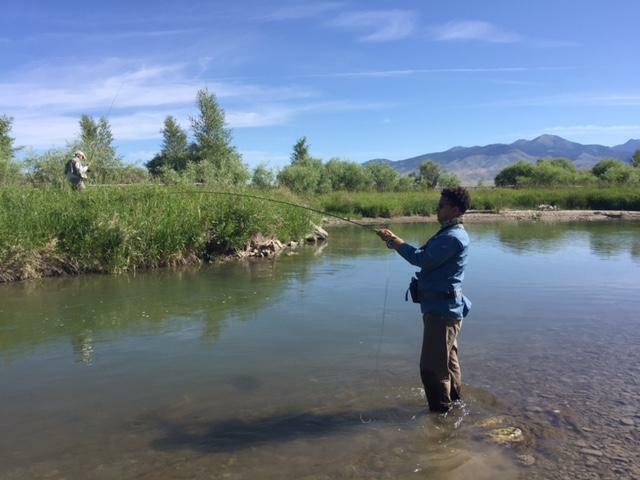 The PHW participants reveal the simple act of fly fishing allows them to engage with others, find a place of peace, escape the isolation of their rooms or discover an activity, which intrinsically creates hope and a little joy. This year the sponsors were attorneys, businessmen, a mountain climber from the Swiss Alps, a golf pro, and a retired land developer. Each sponsor modestly received their hats and briefly reflected, some emotionally, on their experience that week. An experience that became personal, discovering life for some is a little closer to the bone. The Nobel Prize winning author Gabriel Garcia Marquez said, “The only time you can look down on a man is when you are giving him a hand up.” We all get lifted up through our work with Project Healing Waters Fly Fishing. This is the America I know. We thank our sponsors this year for giving everyone a great week: Warren Stern, Tony Morris, Bill Stewart (Go Spartans), Tony Rabasca, Vince Dudley, Jean Party, Vincent Magnin and Bernard Gauchon. Our 2017 date with PHWFF service members is July 4-9. Please contact Mike Geary at 406-459-2030, if you are interested in being a sponsor. On the Smith River and at Healing Waters Lodge, we would be hopelessly lost, broke and in the poorhouse if it wasn’t for the excellent core guides that assist us every day. It takes a special person to be an excellent fishing guide. 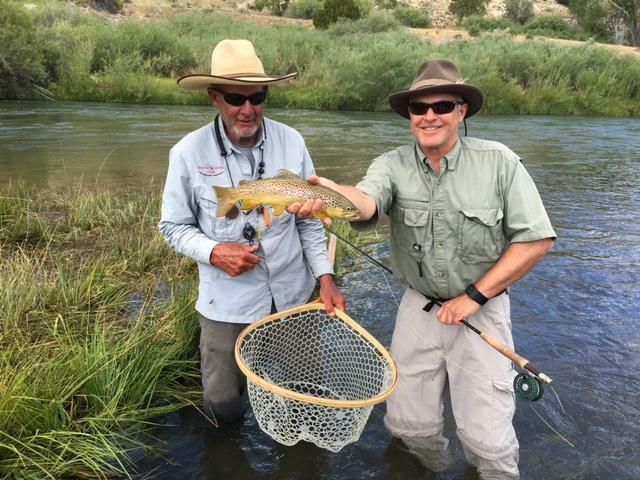 Guides need an incredible amount of patience along with knowledge that borders on wisdom assisting anglers in unlocking some of the daily mysteries and secrets of fly fishing. 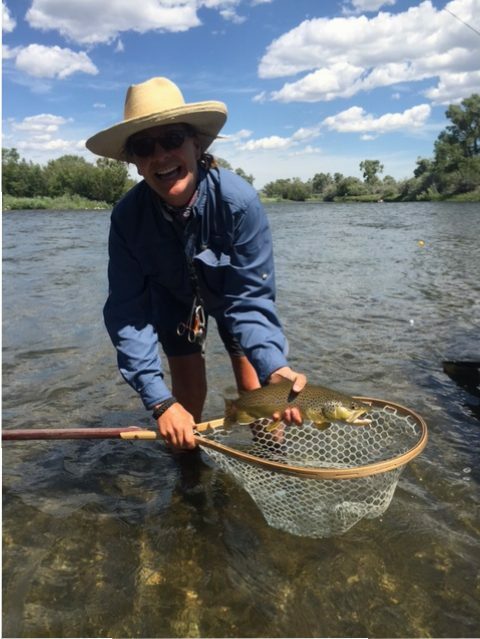 In Southwest Montana, we fish the Big Hole, Madison, Beaverhead, Jefferson and Ruby rivers. This means knowing and understanding hundreds of miles of fishing waters that change with each bend in the river. Our guides have a lifetime of experience and commitment unlocking the riddles of trout fishing. Guides also are articulate enough to express a variety of fishing techniques as well as interpreting the movement of water. A good guide needs to be part explorer, professor, confessor and a touch of a saint. 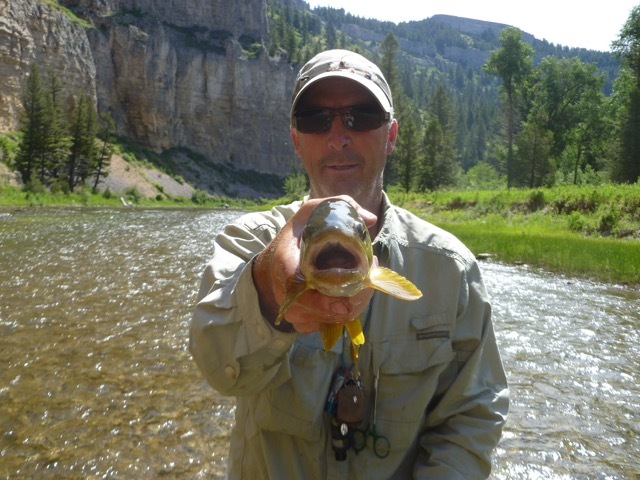 On the Smith River, guides assist you in inclement weather while tying on your next fly or putting up your tent. 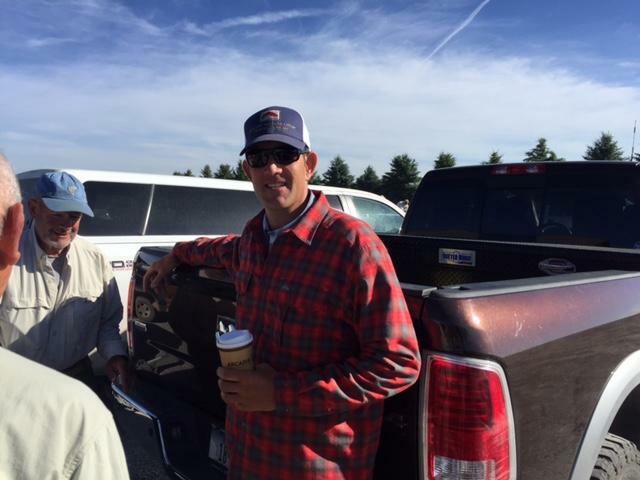 The guides we use are the type of people that you want in your community: they go home to their families after work, attend their children’s PTA, volunteer for Trout Unlimited, give more than they get and are people you want as your neighbor. Plus, they have the ability to get you casting into a 20″ trout. It doesn’t get much better. They are the primary reason Healing Waters Lodge and Lewis & Clark Expeditions is one of the largest outfitters in the state of Montana. 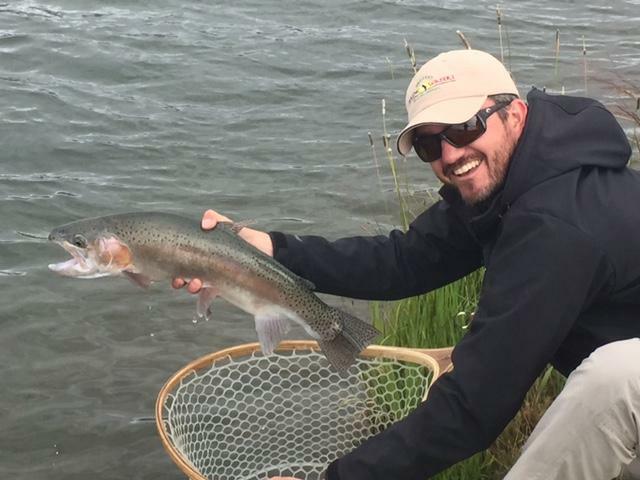 There isn’t a better time to be alive in Montana than in September and October with cool weather, revived fisheries and the start of serious streamer fishing. October 14-19, we offer a school at Healing Waters Lodge that centers on fall fishing. This means fishing October Caddis and Blue Winged Olives along with plenty of streamer fishing. Streamer fishing translates into large trout which becomes the stuff dreams are made. The school emphasis is on streamer techniques with a variety of flies. The cost for six nights and five days of fishing is $2995. Football games will be recorded upon request. Call today to find out more information and make your reservation!